A woman who struck a police squad car at Miami International Airport Thursday afternoon and told officers she had a bomb strapped to her body was ordered held without bond Friday. 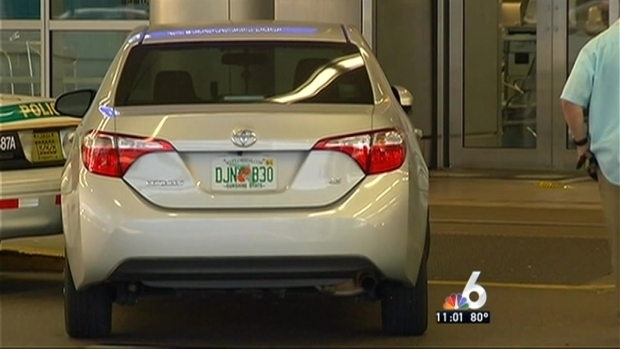 Authorities said the woman, identified as 33-year-old Julissa Magdalena Maradiaga-Iscoa, was driving a silver Toyota when she rammed a parked police car and then told officers she had a bomb strapped to her body, Miami-Dade Police officials said. 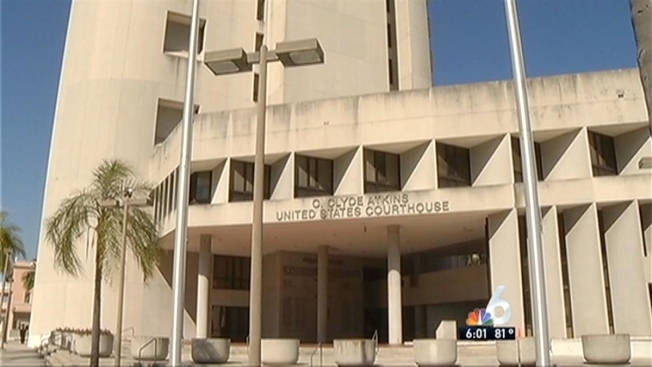 Maradiaga-Iscoa appeared in federal court in Miami Friday, where she was appointed a public defender. She was handcuffed to a wheelchair and mumbled throughout the hearing, saying words like "water" and "selfie." Prosecutors and police said Maradiaga-Iscoa was targeting the front door of Concourse D when she struck the cop car. Julissa Magdalena Maradiaga-Iscoa appears in federal court after her arrest in a bomb scare at Miami International Airport. "It appears to be a direct attempt to breach, a security breach, through the front door utilizing the vehicle," Miami -Dade Police spokesman Det. Alvaro Zabaleta said. "In a high tone she began to yell in what appeared to be an Arabic language, and then in English told the responding officers that she had a bomb in her possession." At Friday's hearing, prosecutors said Maradiaga-Iscoa told officers she was pregnant and had a bomb with her or "in her." She also said the letters "HE" meaning "high explosive," prosecutors said. A bomb squad was brought to the scene to make sure everything was secure and the FBI took over the investigation, officials said. "The bomb dogs assigned to the airport district responded and they deemed that the area, car and subject to be safe," Zabaleta said. Maradiaga-Iscoa, a Honduran citizen, will face federal charges, FBI officials said. She had been deported back to Honduras once before but returned to the U.S. and was here illegally, officials said. records showed she was arrested for battery in Palm Beach County in 2013. 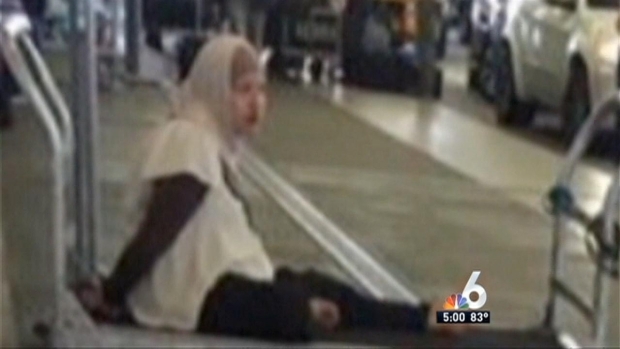 The woman charged in Thursday's crash and bomb threat at Miami International Airport is set to be arraigned before a federal judge on Friday afternoon. Bobby Brooks reports. "At this time there appears to be no nexus to terrorism," the FBI said in a statement. The incident had the airport's departures roadway briefly closed, but they were later opened up and the airport returned to normal operations, officials said. Maradiaga-Iscoa's next court hearing is scheduled for March 20. Check back with NBC 6 South Florida for updates.